From Goodreads: Confronted by the photographer, Potter reluctantly gets caught up in delivering photographs and letters that could either destroy the pushed world or make the wolves stronger. After Jack Seth pushes the lever, Isidor sets off in search of Melody Rose. His journey takes him back to Lake Lure where a series of child murders have been taking place. The murders are believed to have been committed by a winged creature, making Isidor the prime suspect. While both Potter and Isidor hope the journeys they’re taking will push the world back to how it once was, neither of them can truly understand why cracks are forming in the ground…and in the sky above them. I’ve waited so very long to know who the photographer is, and I finally have my answer. And of course, I never ever would have guessed it is who it is. Once again, O’Rourke has floored me and left me speechless with his amazing plot twists and I am in awe of his sheer writing genius. With the revelation in book seven, Dead Push, that time travel is possible, readers will be delighted to see just how this time change has been working out for our heroes Potter and Isidor, especially as the truth behind Kayla and Sam’s disappearance in book five, Dead Wolf, finally comes to light. Heroes on their way to change the world, or pawns unknowingly doing the bidding of their mortal enemy? The truth awaits those who dare to be consumed by the awesomeness that is Dead Lost. And I can’t say much more than that without giving away any of the secrets within this novel. 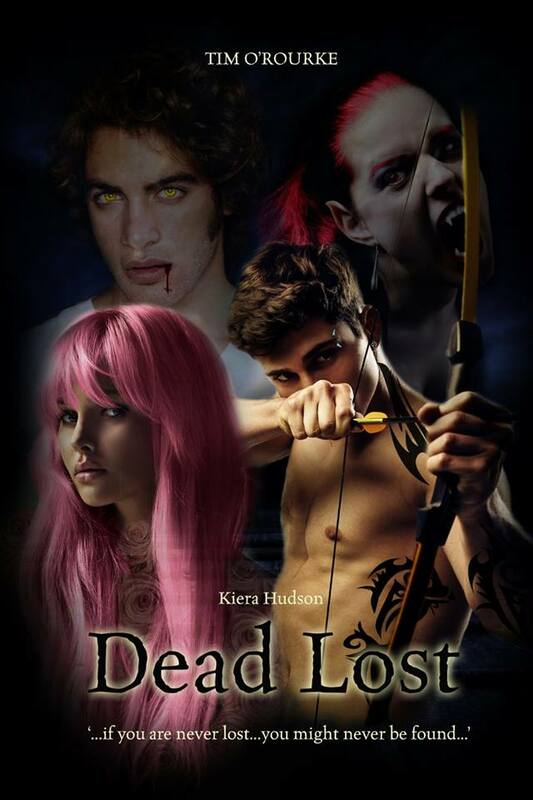 Dead Lost is the eighth in this second Kiera Hudson series, and at this point, it really cannot be read without having read all the others. O’Rourke creates such an intricate web, and the idea of the pushed world, especially with the revelation of the photographer, has become so much more complicated that readers jumping in at this point without an anchor in the texts would be dually lost. And that’s one of the many reasons why I love this set of series so much. O’Rourke has made me fall in love with every single character, both the good and the bad, through extensive characterization and world building—they have become a wonderful part of my life. The ideas are so creative and well written that I have been engrossed in every single novel in the series and I am always on pins and needles waiting for the next as these characters continually evolve and change. The amazing Kiera Hudson series, both one and two, are definitely not to be missed, and I highly suggest you start from the beginning if you’ve not already done so—Vampire Shift, the book that started it all, is FREE on Amazon and Barnes and Noble. Scoop it up, because by the time you’re done you’ll be hooked, and it won’t take you long to read through them all and make your way to this phenomenal novel, Dead Lost. Five stars. I purchased this novel from Amazon.